The last thing Peter remembers about his accident is getting in his car with his wife Pam. They were heading home after a day out, but due to the unforeseen events which were about to unfold, Peter and his wife never made it to their final destination. Peter and Pam were half way home when Peter unexplainably blacked out, leaving the car on a collision course with a wall. Frantically Pam grabbed the wall, but it was too late and they crashed. The force of the collision caused Pam to break her wrist and left Peter with serious injuries to his knee and head. Due to the complex nature of his injuries, the road paramedics did not want to move him out of the car. 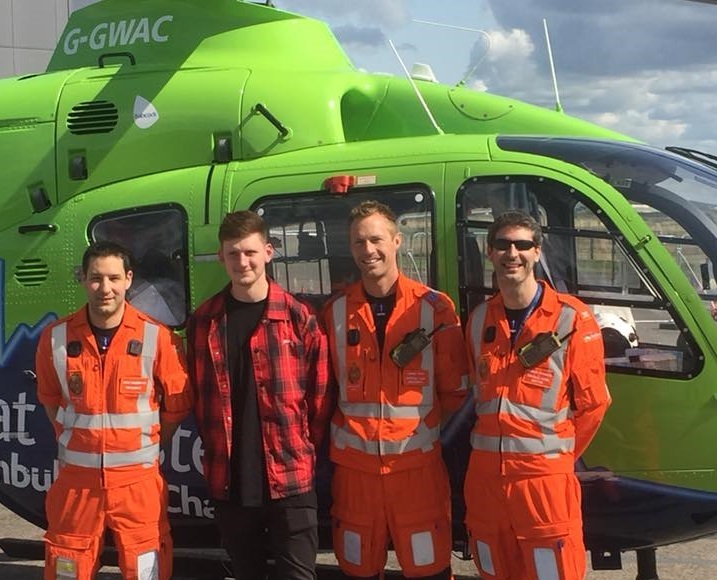 They called for our Critical Care Team who rushed to the scene, arriving in just 15 minutes, significantly faster than it would have taken them by road. Our Specialist Paramedic in Critical Care and Critical Care Doctor assessed Peter at the scene, and worked to stabilise him. His injuries were severe, and he needed to be transferred to hospital as soon as possible for further treatment. 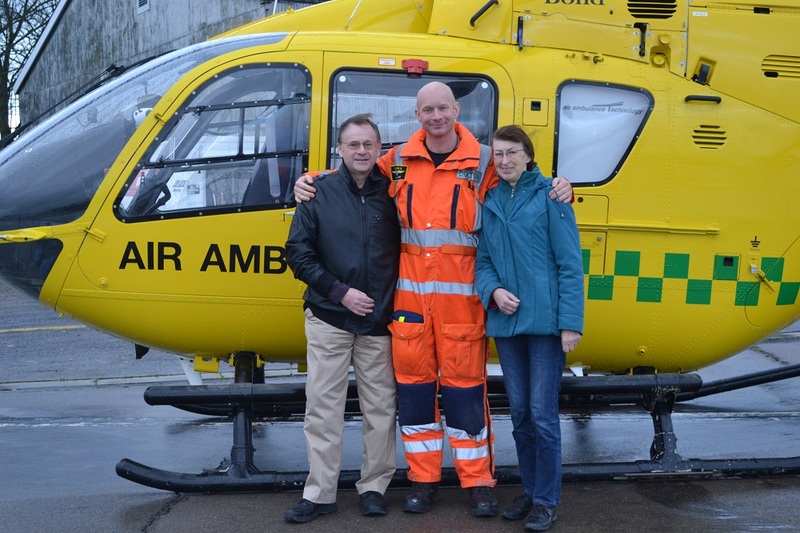 Peter needed to go to Southmead Hospital, which is in Bristol, and we airlifted him there. We focus on getting the Critical Care Team to the patient, and then transferring them to the hospital best equipped to deal with their needs. This is not necessarily the closest one. 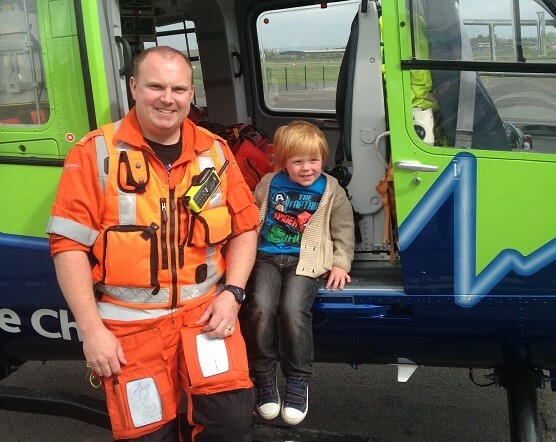 In Peter’s case he needed to go to Southmead as it is the major trauma centre for the region. Peter faced a long road to recovery, but through his determination has been able to get his life back. 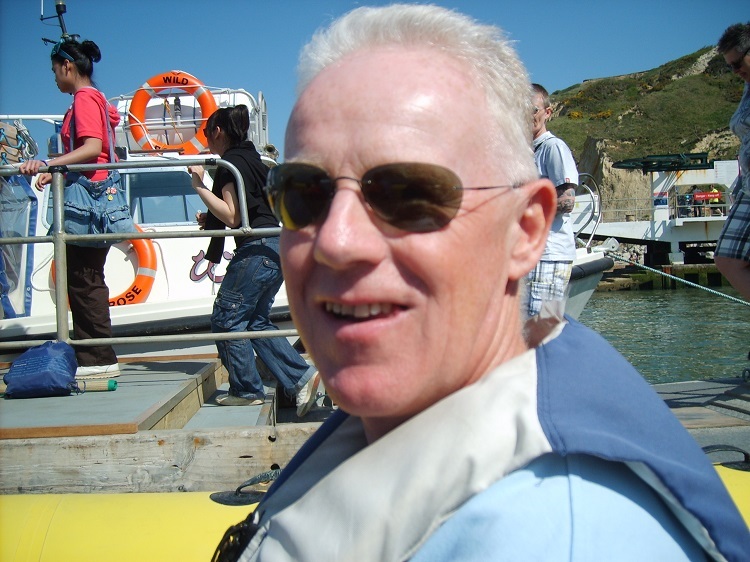 Following his accident his friends and family have vowed to raise money to support our life-saving service.